It’s that time of year again. Time for you to deftly remove yourself from your tenterhooks people, for Pies are about to lay down a platter full of succulent, meaty predictions for the 2016/17 Premier League season. There’s really no need to go back and check last year’s offering because they were all spot on as per usual. You can trust us on that. Premier League winners: Manchester United. They’ll probably continue to be dull as ditch water for the most part, but Jose Mourinho has an uncanny knack for pragmatically trudging his way to early titles before everybody tires of him and it all starts falling apart. Top six: United, Man City, Chelsea, Arsenal, Tottenham, Liverpool in that order respectively. 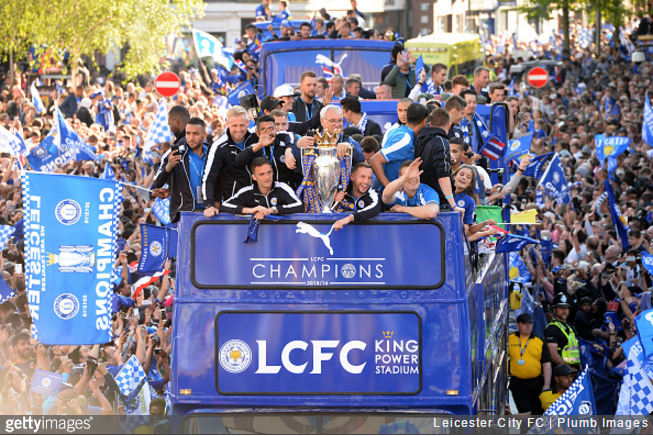 Leicester City: The reigning champions will do quite nicely for themselves, finishing in upper-mid-table, somewhere between 7-9th. Top goalscorer: Risky for obvious, ligament-related reasons, but we’re backing Daniel Sturridge (Liverpool) to plonk 20 away this season for the simple fact that he’s massively overdue. First managerial casualty: We’ve seen that Aitor Karanka (Middlesbrough) is liable to up sticks and abandon his post at a moment’s notice, but it’s Francesco Guidolin (Swansea) that we’re backing to be out of the door by November/possibly October. Arsene Wenger: With the now-traditional Arsenal striker shortage/defensive crisis already in full wrangle before a ball has been kicked in anger, we think this may finally be the season to break the camel’s back. Wenger has 12 months left on his current contract. Another taxing, thrifty campaign might see things start to get really ugly. Best debut season at a new club: You have to feel that Isaac Success (a new arrival at Watford) is primed for big things, but it’s Ahmed Musa (Leicester) we’re keeping our beady peepers on. Likewise Georginio Wijnaldum at Liverpool and Andre Ayew at West Ham. Transfer flop: We’re not entirely sure how Nolito is going to fit into the equation at Man City given their other, subsequent transfer dealings, but we are reserving our most grave… er, reservations for Chelsea’s new £33million striker Michy Batshuayi. Looks suspiciously like Loic Remy 2.0 to us. Paul Pogba: Incredibly likely to be snorted at and written off when he fails to score/control a game single-handedly in the space of his first five appearances. Yes, his fee was ridiculous, but transfer fees have always been so. Indeed, Bryan Robson (who cost £1.5million in 1981) cost a bigger percentage of United’s annual turnover (approx. 57%) back then that Pogba has (18%) so let’s not get too hung up on the money. He’s obviously a fantastic young talent. Let him flourish at his own pace. Relegation Triumvirate of Doom: Hull (20th), Burnley (19th) and Crystal Palace (18th). Have you seen the frighteningly hopeless state of Palace’s striker situation? If they sell Yannick Bolasie, they’re well and truly buggered. There you go party people. Feel free to rate and slate our BIG PREDICTIONS as you see fit. And, if you’re so clever, let’s hear your prognosis for 2016/17. It’s not like it’s tax payers money. It’s United’s money. If they wanna go spend £100million they can go and spend £100million. Like the article said, the Pogba transfer is cheaper than Bryan Robson’s, relative to the clubs turnover. Like the article said, the Pogba deal is cheaper than Bryan Robson’s, when compared to the clubs turnover. United spending $100m on Pogba is like Donald Trump buying a $10m Rolex. A lot of money for a watch – most people would rightly say – but when you’re a billionaire it does not make any difference, you know? Look for Sadio Mane to have a great first season for Liverpool, I’d have to disagree on wijnaldrum, he seems more likely a flop. As for arsenal, 4th place seems very unlikely to me unless they finally find a striker better than giroud (which they won’t). Agree with United. They’ll win the league with zlatan and pogba bringing a lot more to the table for them.